We may have been fooled into thinking winter was over by the mini heatwave we enjoyed back in February, not to mention the arrival of the longer, lighter evenings, but hey! – There’s no harm in preparing the wardrobe for when the sun actually makes a long-term appearance, and besides it’s always ok to start adding an essence of spring into your wardrobe, for the ultimate transitional style. 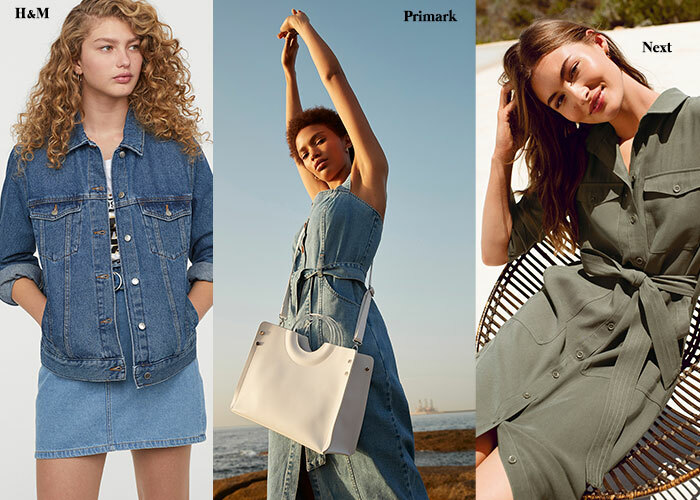 If you fancy a fashion flashback to the ‘90’s, welcome to SS19! We’re literally rolling back the years by 3 decades to an era of tie-die, acid wash denim, neon brights, camo and utility to name but a few, and you’ll find them all in our favourite Shrewsbury Shopping stores. One of our favourite trends for SS19 is one that’s been tamed from its wild winter ways – offering soft, daintier prints and feminine fabrics. Animal print is seriously roarrrrsome this season and if you take a prowl round stores including Next, Peacocks, Topshop, Primark and H&M, we’re sure you’ll track down an abundance of your print of choice.